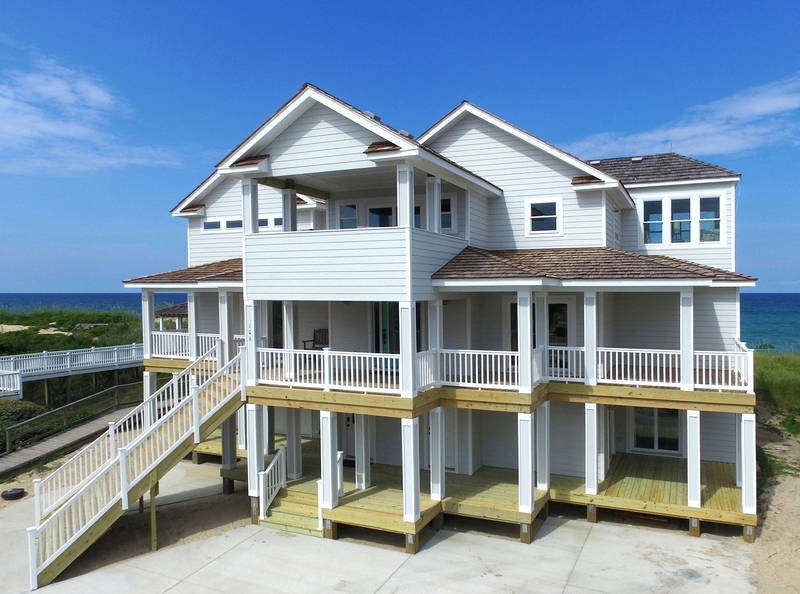 With limitations in available home sites in Outer Banks communities, sometimes the best investment decision is not building a new home. Many homeowners have existing properties in locations that have tremendous resale potential or have purchased a home that will increase in value dramatically with finish upgrades, updates to an existing floor plan or room additions to increase living space. For those with special need requirements, simply adding a ramp, master bedroom suite and office to the main living area, increasing door widths and modifying kitchens and bathrooms can simplify daily living. If you wish to explore the option of a home remodel, we appreciate the opportunity to discuss your personal vision of home improvements and to submit a price for our services. 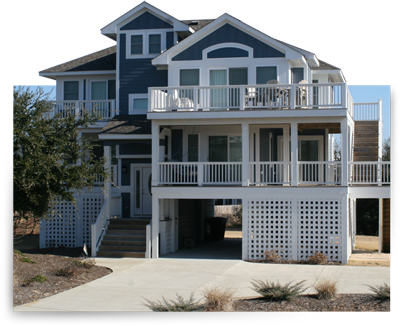 We welcome all inquiries about Outer Banks home remodels, including all sizes of expansions and levels of home improvements. Adding ground level living space to accommodate a recreation room, two bedrooms with private baths, laundry facility and a half bathroom. 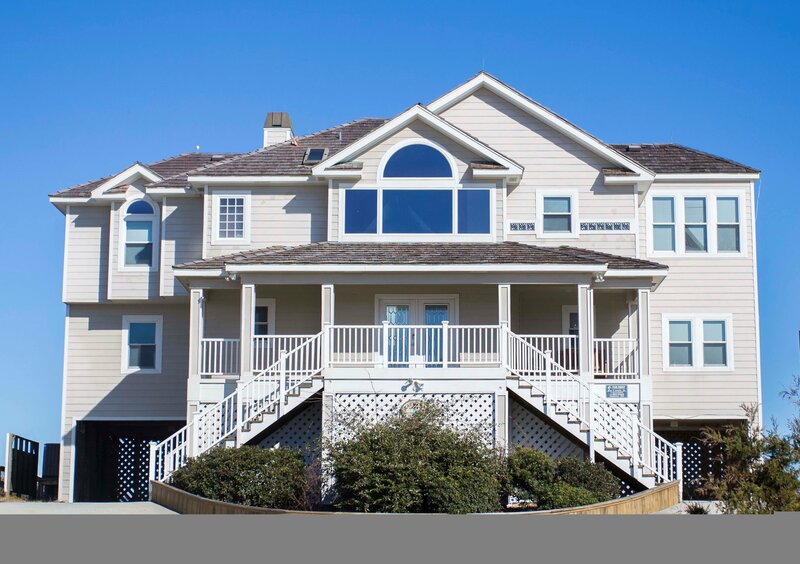 First floor front covered deck and second floor front covered porch with hot tub. Expanding the second level to add a home theater room and video arcade area. These improvements increased the heated living space by nearly 2,000 square feet. 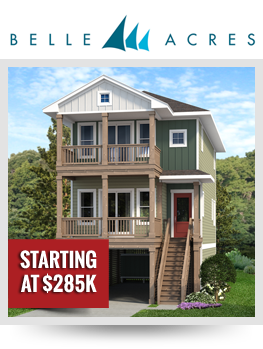 The finished home now provides guests with eight master suites, eight full and two half baths. Six of the full bathrooms are semi-custom tile showers with custom frameless glass doors. From start to completion, this project took four months.